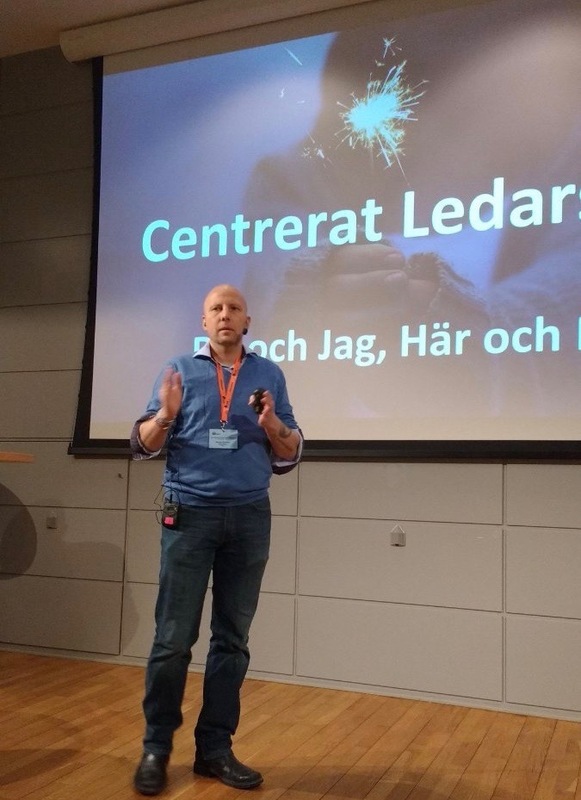 Yesterday I had the privilege to present at SAST Q4 together with a line-up of great speakers such as Lottie Knutson talking about crisis management and Karin Wahlén showing the awesome journey Östersunds FK had done combining soccer and culture. My talk of the day was on Centered Leadership – You and Me, Here and Now. The purpose was to show the importance of being present in all our interactions with other people and how we can help each other increase our self-esteem by making sure that we are centered in ourselves and that we strike a balance between self, other and context whenever we meet. The audience got to do a short meditation to center themselves and to play a short version of the exercise “With whom do I have the pleasure” to see how our previous experiences affect our present conversations. If you’d be interested in learning more about Centered Leadership, please reach out and we’ll have a chat. Exciting! I’m curious to learn more about the topic. Looking forward to do so!